Thanks to a good friend of mine, I recently bought a fantastic leather watch roll from Symthson of London. 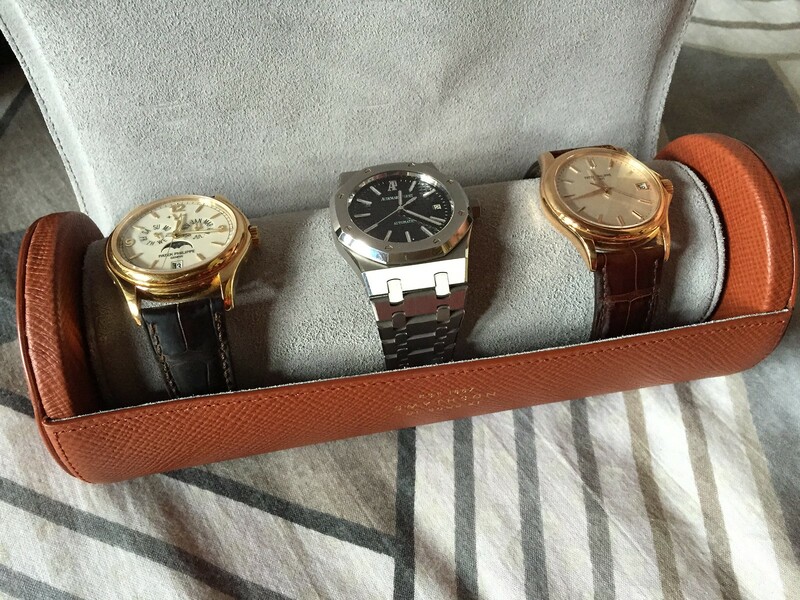 For a long time, I've been somewhat skeptical about these and have instead relied on travel boxes I've received from various brands, which typically holds one watch per box. The ones that I've found to be the most useful have been from AP, until now. What I failed to realise is that taller pieces such as the Annual Calendar, and even my 15300ST Royal Oak, press every so slightly against the roll's outer flap and this prevents the watch from shifting laterally. Have you ever found your pieces to move inside a watch roll before? Next Topic: Would the 5712GR make cult status?